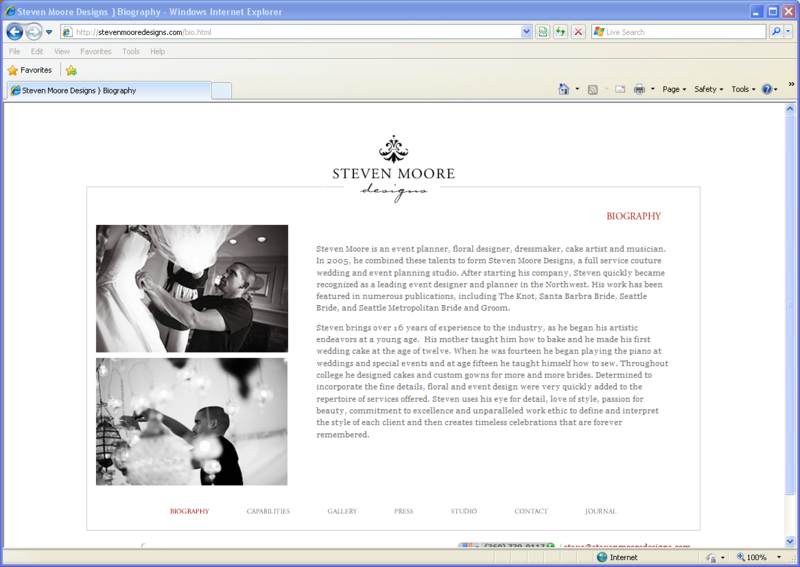 Site Name and Description: Steven Moore Designs is a website advertising couture wedding services. A wide array of services are offered including wedding planning, dress design and construction, floral arrangement and much more. Design Overview: The design of the site is artistic and beautiful, aligning with the services being offered. The simple design shows off images that will catch your attention, rather than presenting data. Audience: The site’s audience is engaged females. 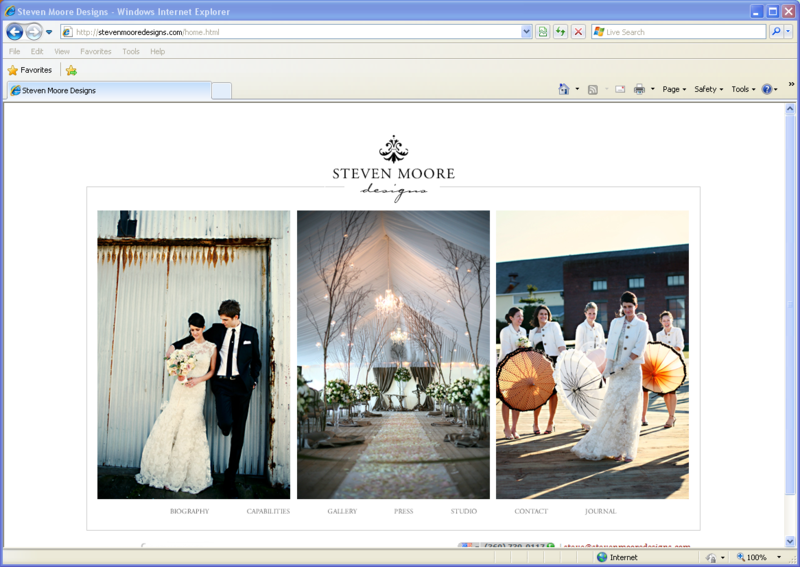 Business/Site Goals: To market to brides to bring their business to Moore. 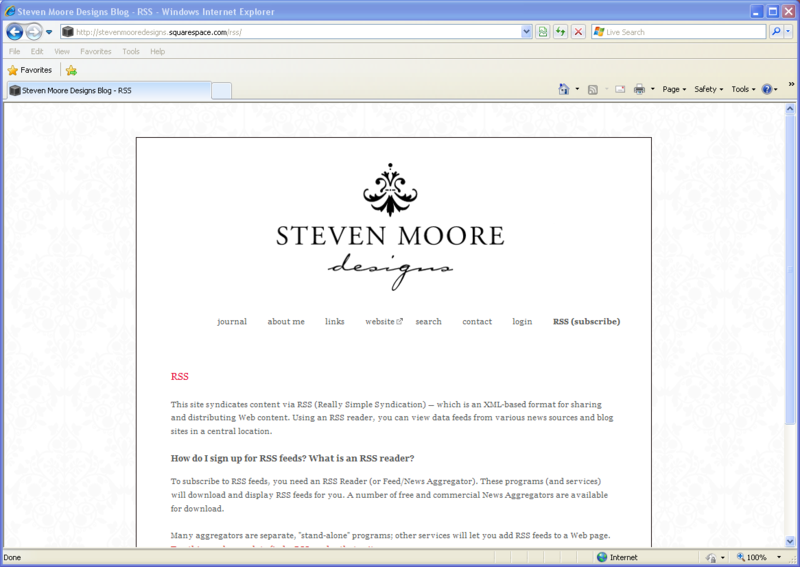 Social media integration: Steven Moore Designs does not seem to use social media beyond an RSS blog through SquareSpace. There is contact information on the contact page of the website.